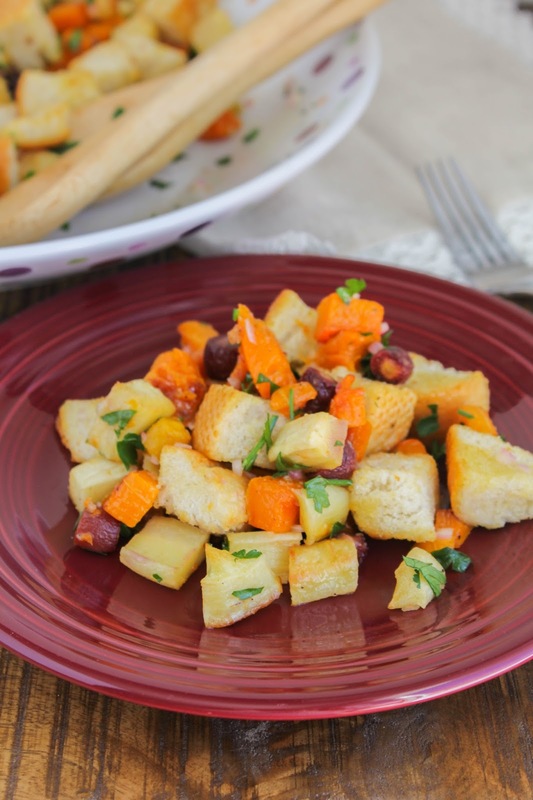 This classic bread salad gets a makeover with the addition of delicious roasted root vegetables. Packed with nutrients and full of amazing flavors, it's the perfect hearty winter salad! One of my favorite things to do in the fall and winter is to roast vegetables. I absolutely love the amazing flavor that comes from roasting - the vegetables get tender, sweet, and practically melt in your mouth. I typically roast different types of squash, potatoes and Brussels sprouts, but I recently decided to try parsnips as it's something I don't cook with very often. Once roasted, they reminded me of carrots in flavor. I wish I would have tried them a long time ago, because I really do love them! Panzanella salad is probably my favorite salad to make during the summer. 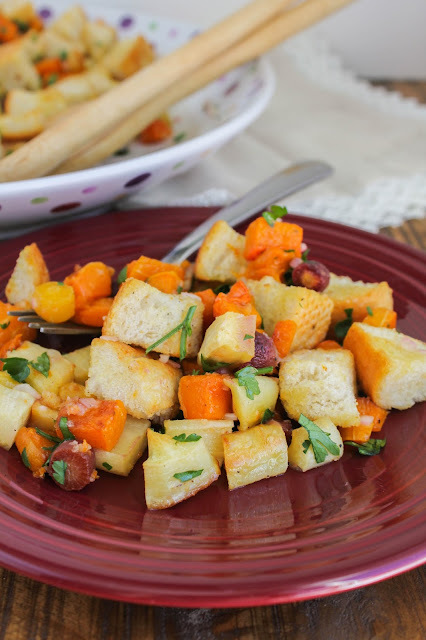 The fresh veggies combined with the crunchy bread cubes are an amazing combination. When I found out the Sunday Supper group was dedicating a weekend to root vegetables, I knew I had to take my favorite summer salad and give it a winter makeover! Parsnips, carrots and butternut squash get roasted until they are nice and tender. Tossed with crispy Italian bread cubes, a light lemony dressing, and fresh parsley, and this is one salad I simply can't get enough of. When I first made it, I couldn't stop eating it! The flavor combination just works so well together. It's great for a side dish, but more importantly it's hearty enough for a main meal. 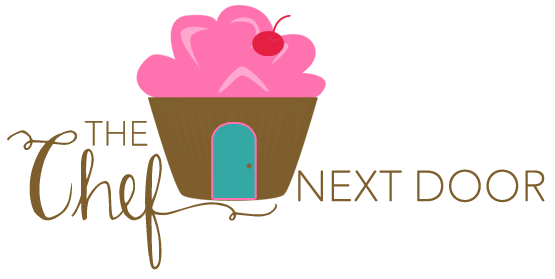 Be sure to scroll down to the end of this post and find over 60 root vegetable recipes from my Sunday Supper friends! Now, who's ready to roast some veggies? Preheat the oven to 400 degrees. Line a baking sheet with foil. Place the parsnips, squash and carrots on the prepared baking sheet and drizzle with 2 tablespoons of olive oil. Sprinkle evenly with salt and pepper. Roast the vegetables until tender, 40-45 minutes. Set aside to cool slightly. Toss the bread cubes and 2 tablespoons of olive oil on a rimmed baking sheet, then sprinkle with salt and pepper. Bake until the cubes are golden brown and crisp, about 10 minutes. In a small bowl, whisk together the remaining 4 tablespoons of olive oil, the vinegar, and the lemon juice until well combined. Add the diced onion and season with salt and pepper. 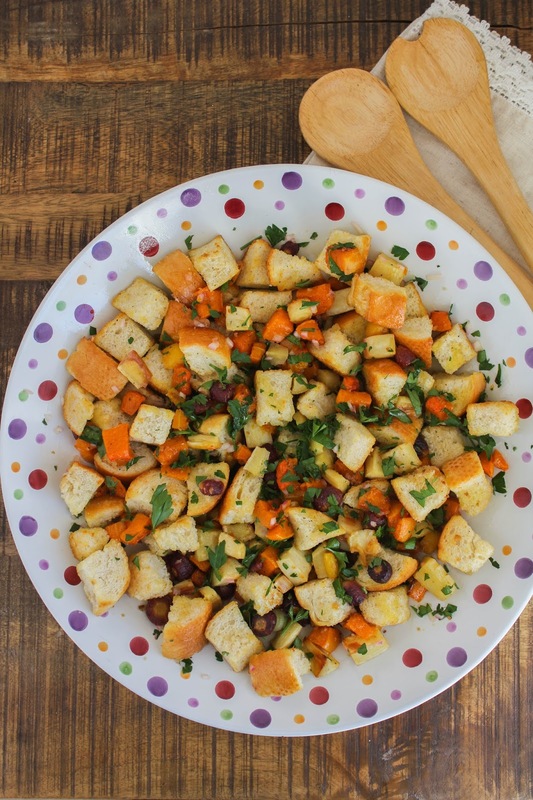 Add the roasted veggies and bread cubes to large serving bowl. Add the dressing and gently toss to coat all the veggies and bread. Let the salad sit for a few minutes for the flavors to meld. Just before serving, toss in the chopped parsley and season with salt and pepper.